The Commonwealth Games in Delhi have been constantly in the news with talks of bridges falling and stadiums collapsing, but many of our athletes seem ready and willing to go forward with their participation. The ones that have decided to go (the archery team and one squash player have bowed out due to safety concerns), are now being told that it would be wise for them not to wear their national uniforms in places outside the athletes’ village because it could be a danger to their safety due to kidnapping concerns. At what point is enough, enough? At what point do we pull our athletes out of this situation? Canadians are calling for us to pull out of the 2010 Commonwealth Games for safety issues, due to all of the above listed reasons, but is it really our choice whether or not to go? I am of the belief that it is every athlete’s choice whether they want to put themselves in the situations that could arise in Delhi. Each athlete, as an individual or as a team (in the case of things such as relay teams, rugby and the like), has the right to make an educated decision about whether or not they want to go to the Games. For these athletes, the question is not cut and dry. There are a lot of different things for them to take into account if they want to make an educated decision. It is true that these people could be put into potentially dangerous situations while at the games, but at the same time, these are elite, amateur athletes. These are not people that make their living at sports. They train constantly for chances like this one, and short of international competitions like the Olympics, this is one of the larger events that they can take part in. To turn up this cahnce is to turn up a big opportunity for the amateur athlete. Also, a lot of these athletes don’t have a lot of opportunities to compete on this kind of world stage. Speaking as a former competitive swimmer, the big goals were PanAm games, Commonwealth Games and the Olympics. To take away one of those opportunities pulls back on 1/3 of the goal. In a way, it is unfair that these athletes now have to make the choice between safety and performance. Athletes should be able to wear their colours at any time, because they are there representing our nation, but if not wearing them means their safety while they do what they have trained a substantial amount of their lives to do, then I say it is their choice, and I will cheer for anyone that decides to go to Delhi. 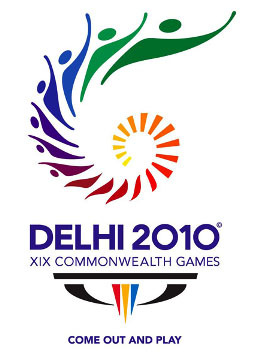 This entry was posted in news, Uncategorized and tagged athletes, Commonwealth Games, Delhi 2010, news, Opinion, sports. Bookmark the permalink.